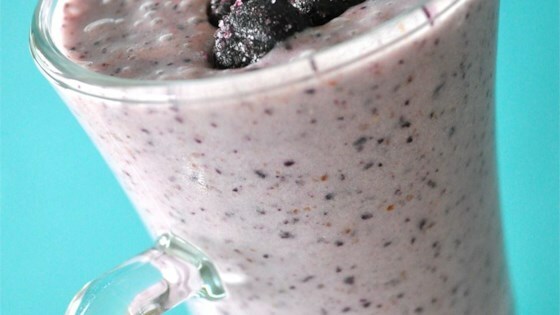 "This blueberry smoothie is to die for! It tastes so good, you forget that it's good for ya!" Awesome! Made it once without the honey and I couldn't even tell the diff. Delicious! Yum! I left out the flax and banana and used regular milk. Added a tsp of sugar.